Silvio Berlusconi for the fourth time? In a few weeks, Italy will elect a new government without resorting to the habitual scores of acronyms. The left and right are presenting new, more integrated and centered formulas, which (they hope) will signify an important step towards the bipartisanship that they yearn for. Italian politics are being Americanized, but the small parties on both sides of the political spectrum and in the disputed center will fight for their survival. Italy goes to the elections after having reorganized its imperfect bipartisanship, but without having begun the electoral reform of the small political groups that abusively dominate the left and right coalitions. The legislative elections were called for the 13th and 14th of April and will be made to coincide with the local elections. The country’s two leaders, Walter Veltroni and Silvio Berlusconi, had promised that there would be no elections as long as there was no new electoral law. However, there will be elections now so that there can be a law later. The Democratic Party’s (PD) constituent assembly, which is the political force that was born from the unification of the two main center-left parties (the Democrats of the Left, headed by Piero Fassino, and Francesco Rutelli’s Democracy is Freedom — Daisy), has formally endorsed Walter Veltroni’s leadership. “Berlusconi has already ruled out a macro-agreement with the PD to govern the country in case there is a repeat of the electoral parity of 2006” In the process, they have broken ties with their communist allies, with whom the PD says it will neither negotiate before nor after the elections. The same thing has happened in the right. The People of Freedom (PDL) party will form as a result of the merging of Berlusconi’s Forward Italy (FI) with Gianfranco Fini’s National Alliance (AN), and will split off from the center-right coalition. Led by Pier Ferdinando Casini, the Union of Christian Democrats (UDC) has not joined the PDL, but the latter will continue to collaborate with the North League (LN). In what would appear to be an unspoken agreement, the left and the right would get rid of their most controversial sectors in order to move closer to the center and break the large parties’ former dependence upon the small ones’ scarce, but fundamental votes. “The economy is key. The two principal candidates promise fiscal reductions and an increase in purchasing power” Without the support of the UDC, the center-right would not be able to gain control of the government. Similarly, without the communists and other party members who defect or go from one coalition to the next, the center-left would not be able to do so either. Here lies the great Italian mystery: What is going to happen? Have the unofficial powers come to an agreement regarding some sort of way out? Are we standing before the dawn of a spectacular PD-PDL coalition that would bring together 80 of the 100 votes behind a great national project that would carry out pending reforms from three decades ago? If it were like this, it would be a great example of the (unjustly) defamed Italian politics. Nevertheless, Berlusconi has already ruled out a macro-agreement with the PD to govern the country in case there is a repeat of the electoral parity of 2006. From reading the daily newspapers, it seems like I said that I am in favor of far-reaching agreements. I deny this; I am here to win and to have a large enough majority to govern. This is not a very resounding denial. The difference between the two candidates is shrinking, and the economy (like in Spain) is the key. Both candidates promise fiscal reduction and an increase in purchasing power. According to the calculations of the daily economic newspaper Il Sole 24 Ore, the measures that Walter Veltroni has proposed would cost between 6.2 and 17 billion euros, while Silvio Berlusconi’s would come to 11.7 billion euros. “Veltroni wants to be the Roman Obama, whereas Berlusconi feels like a Latin McCain: he is the closest thing in Europe to the probable Republican candidate” Taxes are very high in Italy, and therefore I confirm our commitment to allowing people to pay less, but making everyone pay, Veltroni stated. Silvio Berlusconi, who governed from 2000 to 2006, is finding inspiration in his prior successful campaigns by promising that he will not touch the pockets of Italian citizens and will dedicate himself to reducing fiscal pressure. The leader of the center-left offered tax cuts of up to 2,500 euros for the parents of newborns and serious fiscal assistance for businesses that employ women. Veltroni approves of the idea of setting a minimum wage of 1,000 to 1,100 Euros for precarious workers, although it is not clear if it will be the government or the private businesses that will cover the difference in regards to the current 800 to 900 Euros that the ever-growing mass of workers without a steady job receives. We must increase the salaries, which have been frozen since 2000, Veltroni admitted, while citing the Central Italian Bank’s studies, which demonstrate that said salaries went up only one percent between 2000 and 2006. On his part, Berlusconi once again promised to eliminate the tax that those who own only a single residence pay, and to exempt businesses and workers from paying the supplemental tax for over-time and Christmas season hours. Silvio Berlusconi also announced that he wants to push the retirement age back from 57 to 60. This is set for 2011, and might cause grating tension with the unions. “Perhaps bitter times are encroaching upon the two communist parties, insofar as the anti-establishment band does not see them as a referent of confidence either” Veltroni wants to be the Roman Obama, as he has publicly admitted, whereas Berlusconi feels like a Latin McCain, even though he does not say it. But as far as age and beliefs go, Berlusconi resembles the probable Republican candidate more so than any other politician in Europe. Apart from all of this, the National Alliance’s exemplary trip begun in 1994 after the dissolution of the fascist Italian Social Movement (MSI) party, which was founded in 1946 as a means of reorganizing Benito Mussolini’s followers, is winding down. Following in that party’s footsteps are his granddaughter, Alessandra Mussolini, and Francesco Storace, who has carried the AN’s extreme wing to its new formation, The Right. “The left still has the possibility of challenging what is a more than probable victory for the right” Casini urges the new White Rose party, which was created by UDC dissidents like Bruno Tabacci, and the UDEUR Populars, led by Clemente Mastella (whose abandonment of the central-left coalition caused the fall of the government), to unite in a moderate and eclectic center that would continue to arbitrate Italian politics, leaning towards one side or the other as a function of the returns that each position would yield. Many political followers and clientele should give way so that this can be possible. Both communist parties, one led by Bertinotti and the other by Cossiga, for the moment stand treeless and alone. They have displayed great leadership in the last decade. Perhaps bitter times are encroaching upon them, insofar as the anti-global and anti-establishment band does not see them as a referent of confidence either. The leftist optimists think that the PD will garner 39 percent of the votes, if the two political forces with whom it has reached agreements: The Italy of Values (led by the former star judge of Clean Hands, Antonio Di Pietro) and Emma Bonino’s The Radicals are counted. In other words, we would be looking at a tie. 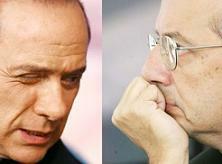 However, Berlusconi insists that he maintains a 10 to 12 point advantage. There are still a few weeks left. Even though the Italian electoral campaigns are not generally full of surprises, the left still has the possibility of challenging what is a more than probable victory for the right. Silvio Berlusconi would return to power for the fourth time. This is the mark of European politics.